Chicago’s finest producers are emulated in this tribute to the Windy City. The Midwest sound has always been influenced by NY’s sample based hip hop but with a warm feeling that is distinctly Chi Town. With a touch of 808 bass drums, this compilation will give you the space to rap and the hooks to hum along with. 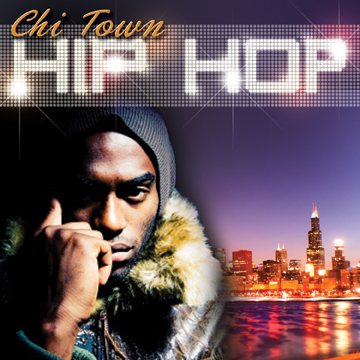 Complete with auto-tuned vocals and crisp production, Chi Town Hip Hop is as relevant to mainstream music as it is timeless. Konstruction is a powerful and easy to use expandable loop workstation featuring thousands of 24-bit REX files conveniently mapped across the keyboard in song style "construction kits." Loops instantly follow the tempo of your host sequencer and can be triggered simultaneously from the keyboard in any combination. Riffs, grooves and effects from acoustic and electronic drums, percussion, bass, guitars, vocals, horns, strings, keyboards and synths are included for instant song creation and the ultimate variety of inspiration Konstruction can be used for diverse music styles from Hip Hop to R&B, Pop, Rock, TV, Film and Game Scoring, Electronic Music and more! It can be further expanded with downloadable Konstruction Paks which are additional sound collections themed by specific styles of music. Konstruction is a product for Sonic Reality's Infinite Player, powered by Kontakt.